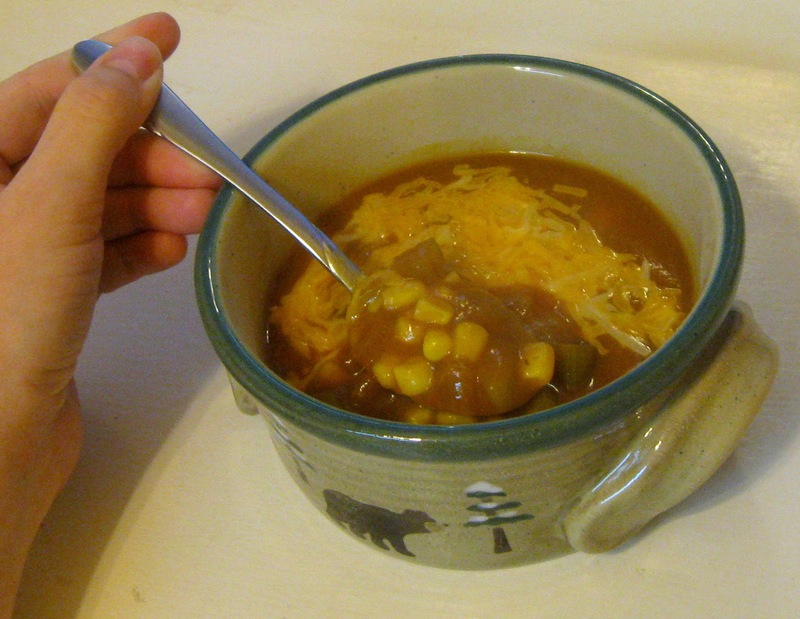 I have always had a love for Mexican inspired dishes and this soup is no exception. At first I wasn't to sure about it because it has pumpkin in it, but once I tried it, I was hooked. I could probably eat this soup once a week because it's so good! This soup is perfect for a cold night and quick and easy to make in under 30 minutes (maybe even 20 depending on how fast you chop vegetables). I know the picture doesn't really make this soup look delicious, but it is! You could definitely mix it up a little bit if you want too with the ingredients involved, such as adding peppers (of any variety), shredded chicken if you wish, or maybe even some rice. I actually get pretty excited about leftovers of this soup because I think it's even better the next day. I wish I could take credit for coming up with it but it originally is from Hungry Girl, even though I changed a few things in the recipe. Hope you enjoy it! 1. Bring the vegetable stock to a boil in a medium pot on the stove. Add the celery and onion to the stock, then simmer for 5 minutes. 2. Stir the enchilada sauce and pumpkin into the vegetable stock and bring to a boil again. Stir in the corn and continue cooking for about 5 minutes until the corn is cooked. 3. If desired, add hot sauce to the soup. Portion into bowls and top with shredded cheese, if using.